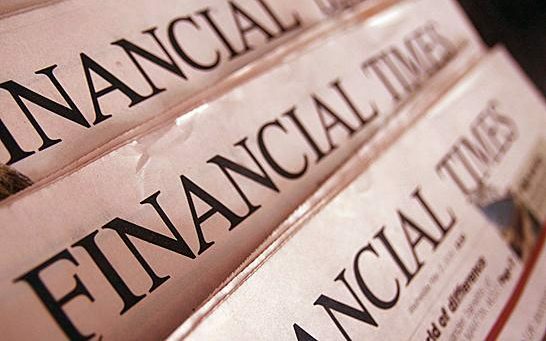 Letter from Tim Price to an Financial Times Columnist: "By controlling interest rates and having facilitated QE, the Bank has undoubtedly affected both short term rates and bond yields. By impacting bond yields it is indirectly affecting equity prices too – no market is an island independent of other asset classes entirely. In a world of negative interest rates, savers and pensioners face an awkward choice between seeing their capital slowly evaporate in both real and nominal terms, embracing the credit, the derisory yield on offer, and the inflation risk of bonds, or risking their capital in an equity market arguably boosted unnaturally by QE and the distortions it has wrought elsewhere .. At what point does the FT question whether the very concept of a central bank is fit for purpose any more ? If Mark Carney and the MPC aren’t the enemy here, who on earth is ? The experiences of Nazi Germany, Soviet Russia and Communist China showed the “demerits” of central planning. Why should we allow it to persist in our monetary system ? If Government insists on maintaining a monopoly on the issuance of money, the very least it can do is protect its purchasing power. We are sleepwalking towards a religious experience for investors, and not, I suspect, in any good way." Former defense secretary Leon Panetta, famous for getting a good laugh off not being able to remember how many wars America was in during a 60 minutes interview, was speaking to the crowd at the DNC when a chant of 'No more war' broke out. The establishment wasn't having it.